Glidar Pvt. 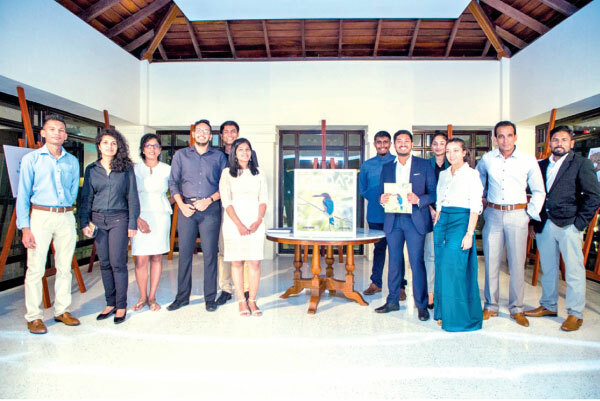 Ltd., the newest technology start-up in Sri Lanka launched the GlidAR Augmented Reality App experience using its mobile app to the corporate sector at the Galle Face Hotel, recently. Invitees were inspired with the new layers of creativity and knowledge the app offers. Parallel to the launch, their lifestyle magazine “GLIDAR” with the pioneering concept of incorporating augmented reality advertising was introduced. Augmented Reality is the integration of digital technology and information with the users’ environment in real time. Unlike virtual reality, which creates an entirely artificial environment, AR uses the existing environment to overlay new information. GlidAR is the new stand-out brand engagement tool, helping brands tap into a new generation of hyper-connected mobile-first consumers with an immersive and sharable experiences. According to recent studies AR advertisements show an increase of 58% in customer interactions and 2x engagements with the brands. AR is the future of advertising and as the tech continues to improve, more and more brands are starting to see the direct benefits of AR brand experiences. GlidAR holds a group of highly skilled and passionate designers, software engineers and developers who create digital products that deliver results, while ensuring a delightful user experience. GlidAR app, while focusing on generating an interactive advertising platform, aims to bridge the gap between merchants and customers in communication deals, discounts and promotions ranging from fashion outlets to hotels and restaurants. The GlidAR app is available in both the Android and Apple App Store. Hence, once the GlidAR app is downloaded, readers can scan the photos in this article which are AR enabled and enjoy the AR content.